My condolences to friends, family, and students. If you want to remember your work or life with him, do get in touch. There’s obviously more to say. 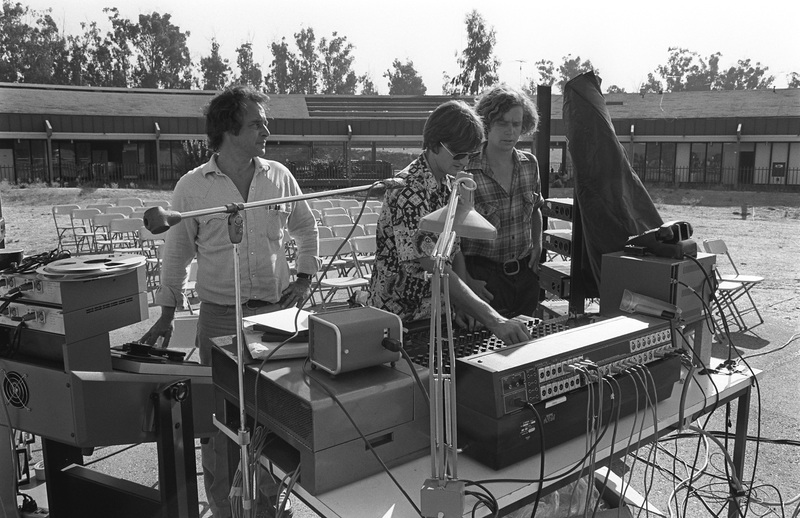 The post Jean-Claude Risset, who reimagined digital synthesis, has died appeared first on CDM Create Digital Music. To this day, it’s a synthesis method capable of producing wonderfully otherworldly sounds. 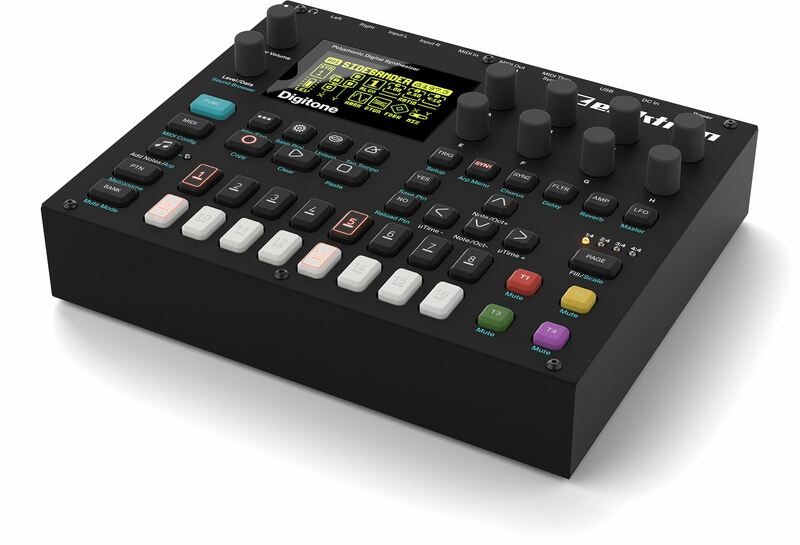 And now as its applications on cell phones and cheap PC audio fade into distant memory, FM synthesis is left as one of the great achievements of musical invention, full stop – let alone being a key milestone of 20th century technology. So perhaps it’s time to revisit its significance. Who better to do that with than the person who first discovered the technique? 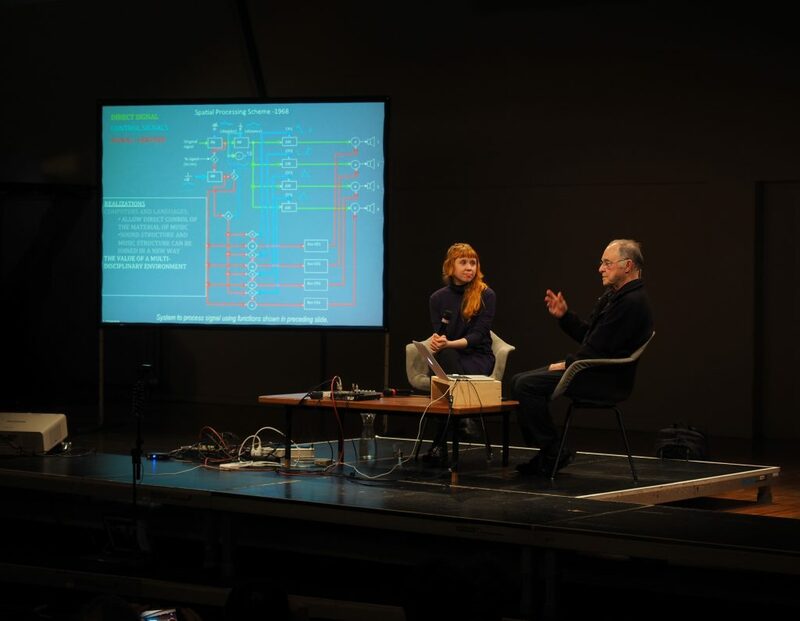 At an event hosted by CTM Festival and HKW Berlin, with CDM as media partner, we got to do just that, inviting John Chowning to recount FM’s evolution. I have to say, it was one of those uniquely inspiring moments, where you get to feel you understand how the sounds you make connect to musical history. 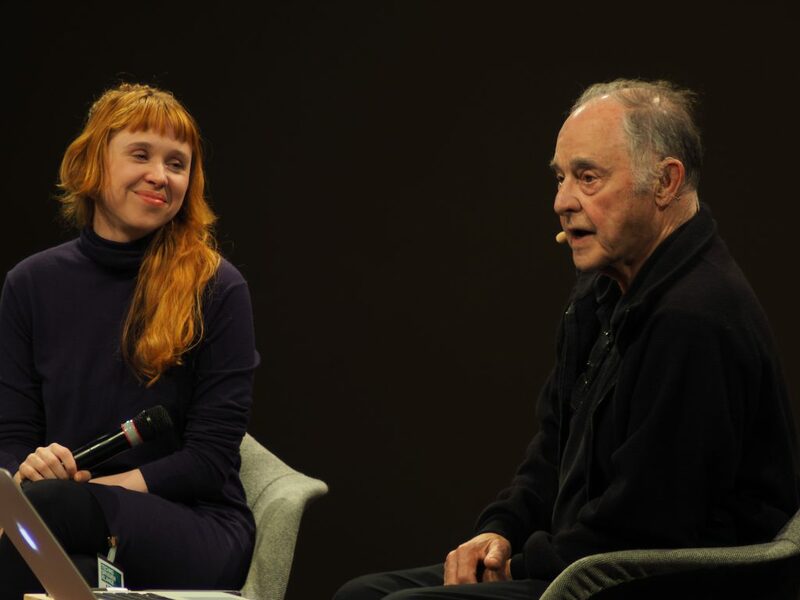 Part of that feeling came from the fact that artist Holly Herndon, who herself has studied with John at Stanford, hosted the interview – one sound experimenter and composer to another, student and teacher. Photo: Udo Siegfriedt / CTM Festival. It’s worth giving the whole interview a listen. Some of this has been recounted before, but it finds some unique clarity here. At Bell Labs, John talks about finding the “open door” of the computer – the unlimited possibility for that machine to produce sound as envisioned by Max Mathews, coupled with the expertise to harness that power. It’s what John himself describes as a “happy accident.” Perhaps that’s the best kind of musical discovery. 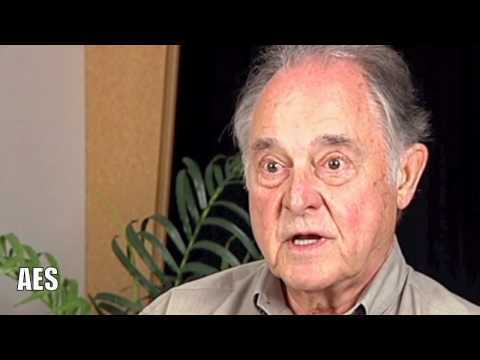 The post Listen to John Chowning tell how he invented FM synthesis appeared first on cdm createdigitalmusic. You have to love German. In English, I can string together whole paragraphs that try and fail to capture the potential of electronic sound. In German, we get to call an event Technosphärenklänge – a word whose utterance is a timbral adventure in itself. And in an event with that name promising to be a landmark for the electronic music sphere, CTM Festival is bringing together pioneering machines and pioneering humans. It’s a convergence of the worlds of mathematics and music that has never happened in this combination on one stage before – and we’ll take you there. For one, there’s John Chowning. Chowning’s name will always appear first in sentences involving “the inventor of FM (frequency modulation) synthesis.” But while the impact of that can’t be overstated, he’s also a pioneer in finding mathematical beauty in composition and in equally significant contributions to sound spatialization. 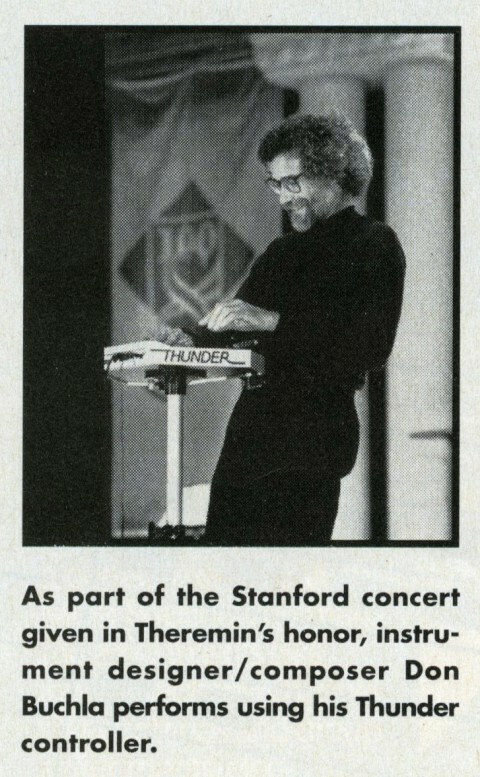 Moreover, like his late colleague Max Mathews, John’s teaching reaches beyond even his own discoveries – so much about electronic music achievement can be connected to his students and his students’ students. So it’s fitting that Holly Herndon will do an interview with John, as she has studied with him. FM synthesis you know, but in celebration of John’s work, let’s share still more. There’s his gorgeous milestone 1977 composition Stria, which holds up today as computer music, and is built in mystical mathematic beauty around the Golden Mean. Here, via AES, he talks about his role in the origins of FM. Chowning at Stanford’s CCRMA – the program he founded – with Thierry Lancino and Chris Chafe. Photo credit: CCRMA. 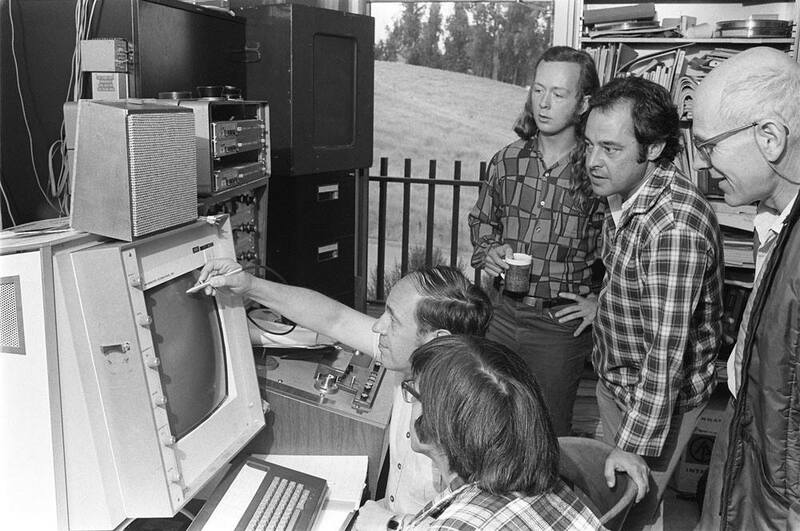 John Chowning (standing, plaid shirt) at CCRMA with Pierre Boulez (at computer), Max Mathews (glasses, far right) and others. Photo credit: José Mercado. Pairing John with Holly is already a meeting of minds that should be fun to witness, but we also get a world-premiere musical collaboration that unites Chowning’s musical imagination with Mark Fell. Mark Fell. Photo courtesy the artist / CTM Festival. If Chowning represents the mathematics of music in digital form, a creation of none other than Leon Theremin makes it physical-mechanical. The Rhythmicon could be seen as the prototypical drum machine. The 1932 invention, in a 60s-built rendition made by Theremin himself, will debut in Berlin via Moscow-based researcher Andrey Smirnov. Theremin’s Rhythmicon – progenitor of drum machines ever since. Photo: Andrey Smirnov, courtesy CTM Festival. Andrey Smirnov gives a lecture at the Red Bull Music Academy Synth Lab in Moscow in 2013. Photo: Denis Klero/Red Bull Content Pool. Marcus Schmickler will join CDM’s Peter Kirn in conversation. Photo by Marc Comes, courtesy CTM Festival. We hope to share content from the whole program. I’ll also be talking personally to German composer Marcus Schmickler. His numbers tickle the brain directly. Building on the work of Jean-Claude Risset, his Fortuna Ribbons project plays with sonic perception. If the Shepard Tone is the sonic barber pole of sound, sine waves superimposed in a fashion that seems to make them constantly ascend or descend, the Shepard–Risset glissando is an M.C. Escher staircase – continuous sonic aural illusion. Let us know if you’ve got a question you’d like me to ask him, especially if you’re a Schmickler fan. Stay tuned to CDM for more with the artists and the results of the talks. But if you are in Berlin this month, you can come visit us in person. Marcus Schmickler joins Carsten Goertz, Mark Fell and John Chowning perform, Andrey Smirnov performs, and gamut inc (whom we joined at CTM Festival in February) are back. Then Holly and I take on the talks the following day. The post Music and math unite, from Chowning to Rhythmicon appeared first on cdm createdigitalmusic. 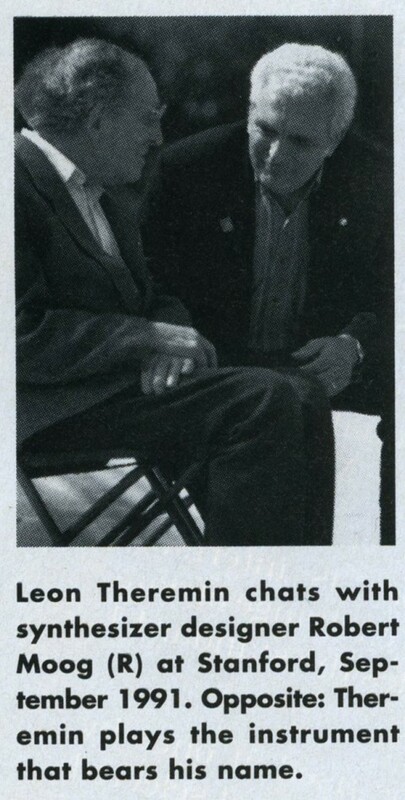 It’s hard to imagine what the evolution of the synthesizer would have been without Leon Theremin. For one, it was Theremin’s invention that first captivated Robert Moog. Theremin kits were Dr. Moog’s first product and many would say, his first electronic instrumental love. 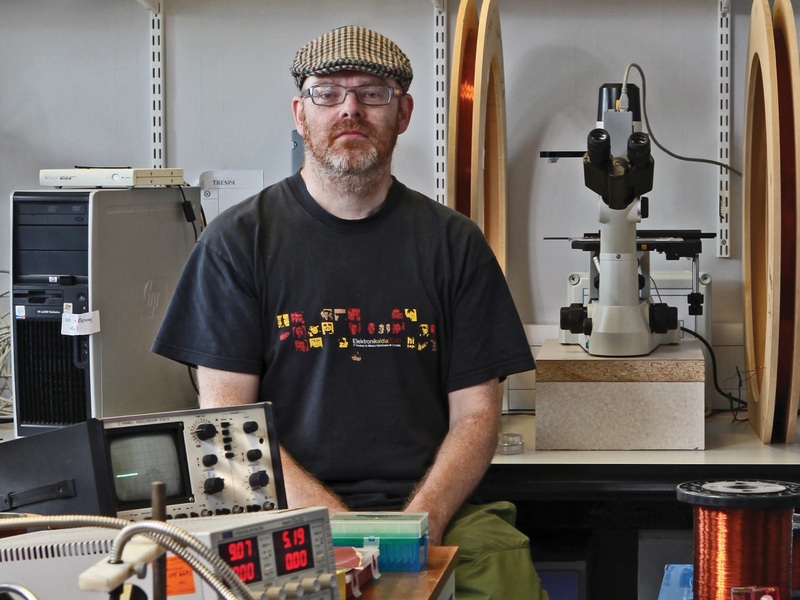 That impact was significant, too, on a whole generation – actually, even my own father made building a kit Theremin one of his early experiences with electronics. 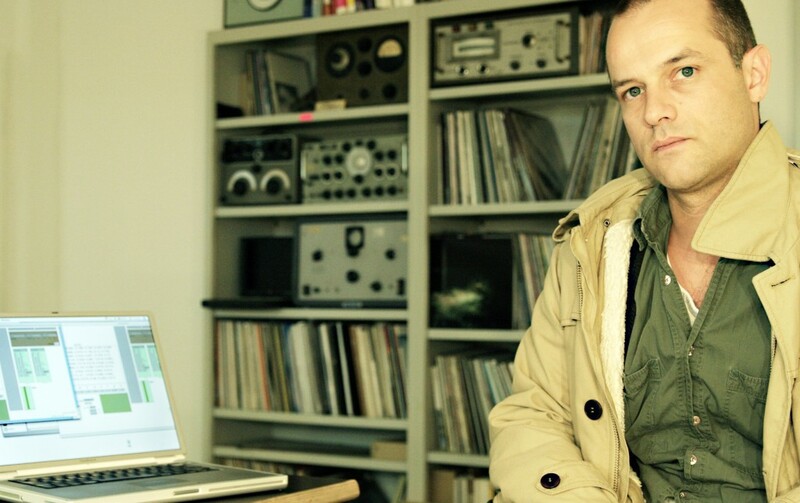 The fall of the Soviet Union still has ripples felt in the electronic music world today. And surely there’s no more poignant moment in the intertwining of post-Cold War history with musical invention as Leon Theremin’s 1991 visit to the USA – at 95 years of age. Robert Moog wrote up that experience for Keyboard Magazine (USA), along with writer Olivia Mattis. Much of the history will be familiar, but it’s moving to read about the event. For the audience, the thread of continuity and tradition linking Theremins early instruments with the world of synthesizers and MIDI is clear and strong. If you looked hard, you could almost see the spirits of Maurice Martenot, Friedrich Trautwein (inventor of the Trautonium), and Laurens Hammond joining the audience in frenzied applause. The Thereminists were notable, too – not only daughter Natasha Termen, but Clara Rockmore, reunited with Mr. Termen. Max played with Natasha, via his “Radio Drum” – a full decade before those sorts of gestural interfaces would enter popular consciousness (via Minority Report, the Wii, Kinect, and so on). The idea first came to me right after our Revolution, at the beginning of the Bolshevik state. I wanted to invent some kind of an instrument that would not operate mechanically, as does the piano, or the cello and the violin, whose bow movements can be compared to those of a saw. I conceived of an instrument that would create sound without using any mechanical energy, like the conductor of an orchestra. I became interested in bringing about progress in music, so that there would be more musical resources, I was not satisfied with the mechanical instruments in existence, of which there were many. They were all built using elementary principles and were not physically well done, I was interested in making a different kind of instrument. And I wanted, of course, to make an apparatus that would be controlled in space, exploiting electrical fields, and that would use little energy. Therefore I used electronic technology to create a musical instrument that would provide greater resources. Einstein was interested in the connection between music and geometrical figures: not only color, but mostly triangles, hexagons, heptagons, different kinds of geometrical figures. He wanted to combine these into drawings. He asked whether he could have a laboratory in a small room in my house, where he could draw. But no reason to feel overly nostalgic or lost in the shadow of history. I think what Termen says about music from space and electrical fields is just as evocative today as it was a century ago – to say nothing of an Einsteinian flatland of geometric music. In a reversal of the Yogi Berra quote “the future ain’t what it used to be,” maybe it’s even more. 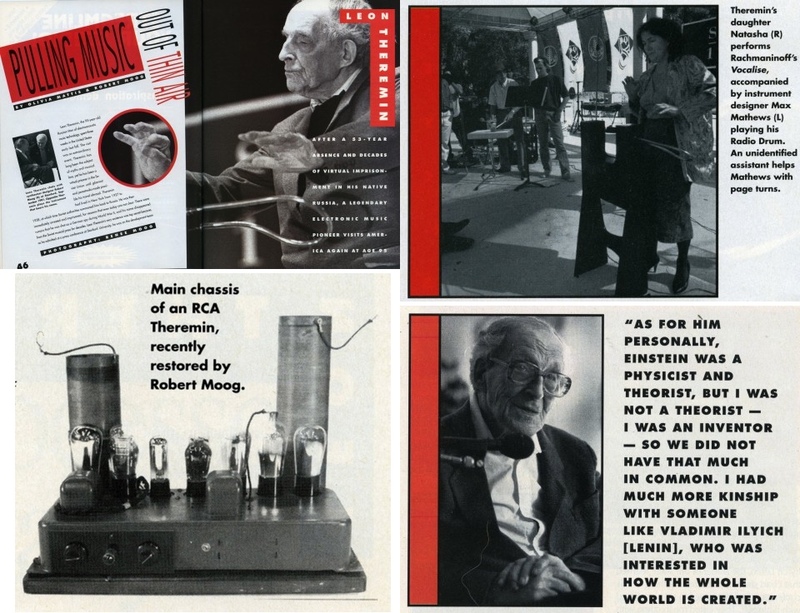 The post Read the article Bob Moog wrote when he met Leon Theremin appeared first on Create Digital Music.